If you’re interested in getting into Raku, either by participating in events or doing a workshop, developing your ideas and skills through this process, or exploring Raku and other potters who work in this area, please get in touch on the contact page. Kelly Foreman, Lydia Hardwick and Gwen Simpson. "Hi Madelaine. 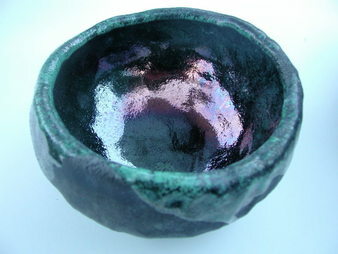 Just done a raku thanks 2 your enthusiasm + info. only 1pce but really good result. Regards Gill"